Hey, dudes. Scuba here. Today I'm excited to tell you the human is now in a team with 11 other people on Instagram dedicated to proper Betta care and dedicated to helping Bettas. The human gets to write educational Instagram posts about Betta care and about Bettas in general! 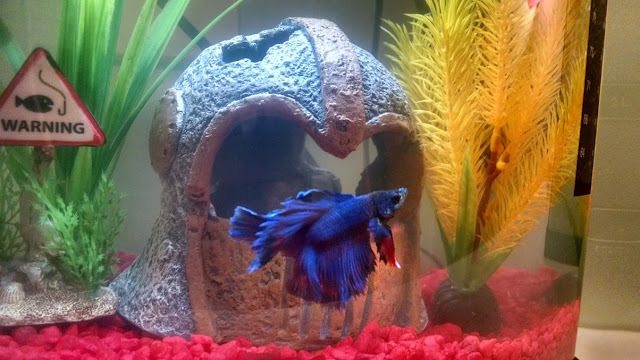 In other news, next time the human goes to Petsmart, she plans on talking to an employee there asking a bunch of questions about Betta care even though she obviously knows the answers. Many pet store employees have wrong information on pet care, and the human is just doing this to find how much bad information pet stores really have. She'll do a post on how it goes very soon. The human is always trying to help dogs who aren't as fortunate as the sausage-shaped furry brown one she has, and now she's trying to help Bettas like me! I love having an owner that doesn't keep me in a tiny fish bowl or deprive me of heat and clean water like so many other Betta owners. 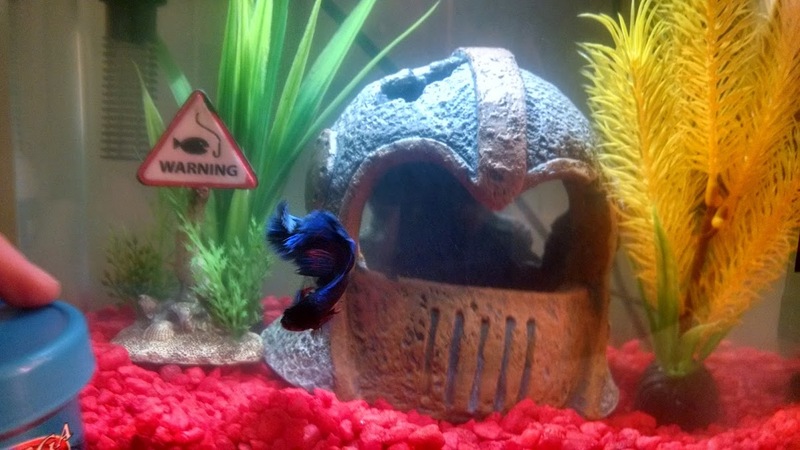 Oh, and my owner will also be taking photos of Bettas at Petsmart for a photo series...I won't spoil anything else! We think many employees in shops know VERY LITTLE about their stock...can imagine the ignorance when it comes to animals. We told our little grandbipeds all about Scuba. The two little brothers lost their two betas over the weekend. They were away on Spring Break and their Mom had turned off the heat in the house. It got very cold in the house and the water temp dropped too much. It was so sad, but we think they may get some new ones. Hi Scuba, you are such a gorgeous fishy, amazing colours. Happy Fishy Friday to you Scuba. We love the idea of your human researching what the employees know... and we hope that she will gently correct some of their errors...so that when she FIN ishes they will be Bubbling over with GOOD information. It's kinda like your mom is doing undercover work! At Mom's last workplace they had a Beta that was cared for by the whole staff. They're really cool.